The Hourglass is hard to miss with its shiny frontage. 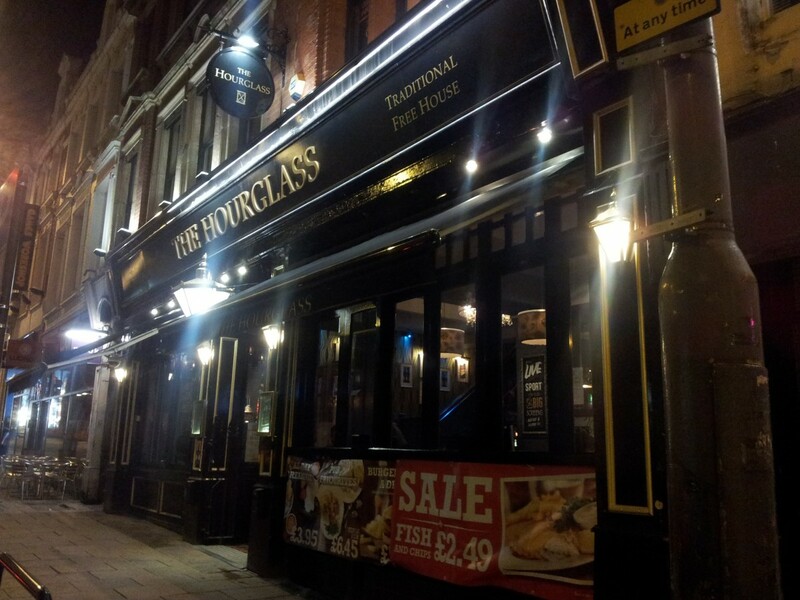 The Hourglass (formerly the Hogshead but refurbished in 2011) is owned by Stonegate, who run several pubs in Leeds including the Yates’s and Slug & Lettuce chains. We were not expecting very much from this place. 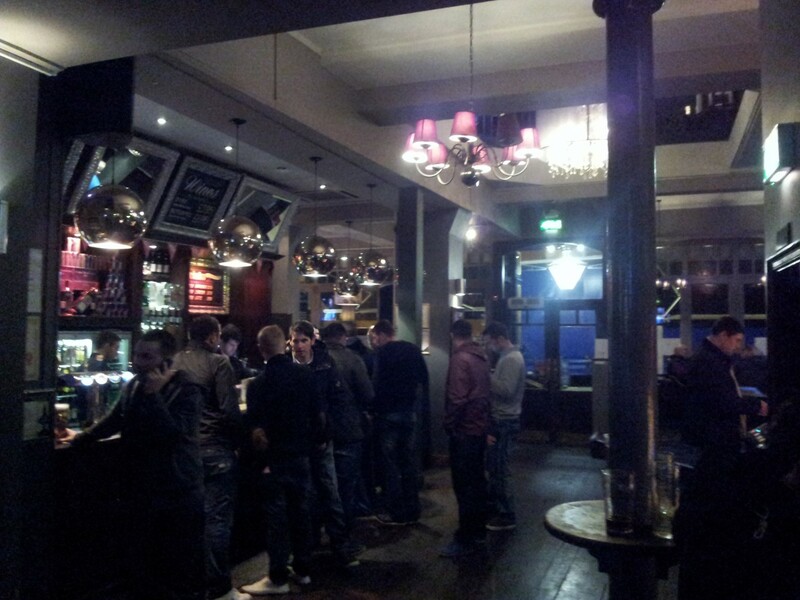 The atmosphere inside is not too bad for a chain pub, and the décor is surprisingly tasteful (and well maintained). The space is massive, including a full upstairs seating area which is available for hire. There are screens everywhere but they’re not too distracting (maybe this would be different on a big match day). Most surprisingly of all, there are power sockets everywhere with friendly messages inviting people to use them! 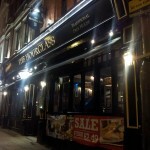 There are 4 real ales on — none particularly interesting, but it’s great they have any! 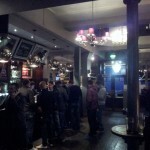 — and they’re very reasonably priced at £2.20 a pint. It was good to see someone behind the bar who knew how to serve ale too. There are no other interesting beers to speak of — the menu is full of the cocktails and alcopops you’d expect in a place like this. Inside. Lots of space and pleasant enough atmosphere. The food menu is massive and insanely cheap. Most of the meals sell at 2-for-£5.95 which is probably cheaper that eating at home… and I can believe the food here is decent, although we didn’t try it. There is also live music on Sunday nights from 8pm, and the piped music wasn’t bad either — we heard both Arcade Fire and Bat For Lashes in the hour we spend there. The Hourglass isn’t going to be one of our regular pubs, and it’s got nothing special for the discerning beer drinker, but if you’re looking for a pleasant enough space to bring your laptop and get some dirt-cheap food, it does very well indeed. Sports, cheap food, cheap beer. No atmosphere, no style, no room, poor service. Poor drinks options. Occasionally quite rough and unpleasant. Apart from filling your face in an emergency and watching sport there’s precisely nothing to recommend it.